Rui Ma is an angel investor based in China. 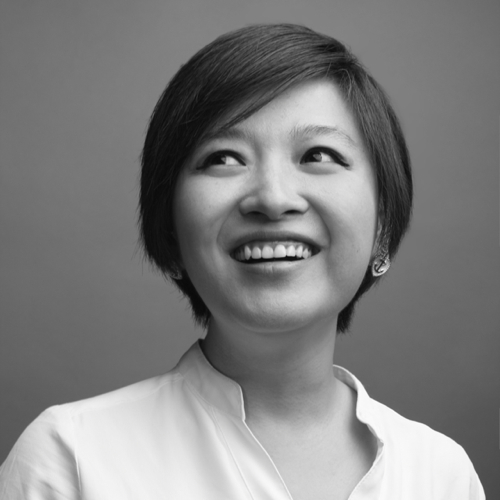 Passionate about the intersections between technology, education, philanthropy, Rui is a Partner at 500 Startups, a global early stage investment fund, and a Senior Advisor at a new education focused Accelerator in Beijing. An active community organizer, volunteer and public speaker, Rui founded and currently leads the Good Good Study Educational Foundation, a nonprofit that finances room and board and/or tuition for high-achieving students from low-income families in China. Her work and writing related to the startup and technology scene in Asia has been featured on Forbes, TechInAsia, and TheNextWeb. Rui Ma: I was born in Xi’an, China, immigrated to the US when I was eight, and lived in Northern California most of my life, through college and the first few years of my career, before moving to Shanghai in September 2007, and have worked and lived in mainland China ever since. I have worked in financial services, whether advisory or investing, for almost my entire career now. Women LEAD: You are a Senior Advisor at the New Education Accelerator, an education-themed startup in Beijing. Can you tell us more about your role with New Education Accelerator? Rui Ma: I am advising a new education-themed startup accelerator in Beijing affiliated with a leading nonprofit organization called Teach for China. It is not certain what the final format will take, but I imagine we will be primarily focused on scalable learning companies that serve to positively impact the quality of education in China, although there will be some emphasis on improving education inequity as well. My own experience is primarily with internet technology-based companies and how to help them grow and so I have been taking a very active part in helping formulate that part of the accelerator. Women LEAD: You are also the Founder of Good Good Study Educational Foundation, a nonprofit that finances room and board and/or tuition for high-achieving students from low-income families in China’s Shaanxi Province. Can you tell us more about Good Good Study Educational Foundation and what inspired you to found it? Rui Ma: This is just a small personal scholarship that I’ve been running for a few years now with friends, and it was inspired by my maternal grandmother, who is 81 this year, but still taking community college lessons in the Bay Area. She was very poor growing up and never finished elementary school, but has always told me to make the most out of my educational opportunities. When I came back to China and saw how difficult it was for certain rural children to go to high school (compulsory education in China only goes through the ninth grade) I wanted to do something. I found a school in the province that I was born in, Shaanxi, and we now support 100 impoverished high school students with a $300 subsidy per year. We had our first class graduate and 18 out of 21 kids went onto first-tier universities in China, which is a great achievement. We make annual Thanksgiving visits and do career / university experience sharings and have also run a 2-week spoken English summer camp in the past. Women LEAD: You also previously volunteered at Ghar Sita Mutu, a charity that provides a home for abandoned children, a training center for destitute women, and an outreach program for needy families in Kathmandu, Nepal. Can you share with us your experiences? Rui Ma: Two years ago, I randomly ran into a small used goods shop in Manhattan to escape the rain and began a conversation with shopowner Beverly Bronson. Turns out she ran an orphanage in Kathmandu and I was considering a trip there. I ended up visiting Nepal and spending a few days at Ghar Sita Mutu, visiting a local school (due to my obsession with understanding educational conditions everywhere), brought back some handmade goods Beverly was teaching the local women to make, and held a small fundraiser in Beijing. I think people like Beverly are very inspirational and have really done a lot of work to improve the lives of many with very few resources. I haven’t had the chance to go back to Nepal but I would love to, and to make a greater impact. Women LEAD: Why does empowering women entrepreneurs matter to you? Rui Ma: Not all women are in the same circumstances, of course, but I feel fairly strongly, especially in emerging economies, about the numerous obstacles that confront female entrepreneurs. I have always studied or worked in male-dominated industries and I believe that it is up to women to help each other, because we understand the difficulties (and also opportunities!) that our gender faces. Women LEAD: What advice do you have for women in venture capital and private equity? Rui Ma: I am by no means that far along in my career, but I would say that of the years I’ve worked in the industry, I’ve found that many people (not just women) take very little control of their career, and investing is actually a very self-directed career, particularly venture capital. I would say, be curious about everything, always be learning new things, and always be open-minded to new people and new ideas. I find the best venture capitalists always have time to learn or experience new things. If you are going to be in venture capital, prepare to constantly feel stupid, because if you don’t, then you’re probably meeting the wrong people. Women LEAD: What advice do you have for prospective women entrepreneurs? Rui Ma: I would really encourage women to jump out of what are perceived to be “traditionally feminine” verticals like fashion and really challenge themselves. Women make up a significant portion (or even the majority) of many aspects of life, and a diverse perspective on the management team is always helpful, not just in cases where the prospective customer base is primarily female. I have seen more and women enter industries like robotics, biotech, or deep learning, and I am really cheered by this. Above all, do what you love, not what others expect you to do. Rui Ma: There are so many women who have inspired me! But as mentioned above, my grandma has really inspired me with her lifelong devotion to learning and helping others. I plan to make education a big personal part of my life by always allocating time to studying new things, and also education philanthropy as well, by continuing with charitable efforts that allow others to receive an education they otherwise would not have. Women LEAD: Are there websites, books, or films that are inspiring you right now about women’s empowerment or women in business? Rui Ma: I really enjoy talking to other women, so I am lucky that way that I have a lot of access to successful female role models with whom I can also have conversations. In terms of reading, I did enjoy Lean In. I am not very active, but am a member of a few US-based female professional groups. I guess I get most of my inspiration offline.